A chance find at the library first got me going on these books. I’d taken to checking out audio books on CD for my work commute, usually a half-hour each way at that point, and for longer drives. I spotted The Pale Horseman (which turned out to be the second in the series) and thought I’d give it a try. And, wow. Never looked back. The combination of fantastic story and an amazing reader just took me away. One line in a fight scene, one phrase about “the sucking backwash of the blood-touched water” … yeah. I will never forget. The way it was written, the way it was read, bam. I got goosebumps just listening to it. I knew then, that was what I wanted to do. Bernard Cornwell was familiar to me because of the Sharpe’s books, of course, but I’d never gotten into them all that much (though, cinematically, they do mark one of the rare occasions where Sean Bean’s character gets to survive). I’ve since given various of his other titles a try as well, the Arthurian and Grail Quest ones, and they’re all right, but it’s the Saxon stuff all the way for me. I don’t remember exactly how I discovered her work. Social media, maybe. Or a link here, a link there. However it happened, I’m just so glad it did! She does fantastic non-fiction digging into the history behind the history, presenting it in a very personable, readable way. Song of the Vikings: Snorri and the Making of Norse Myths looks at the life of Snorri Sturlson, who collected and compiled most of the sagas we still know today. 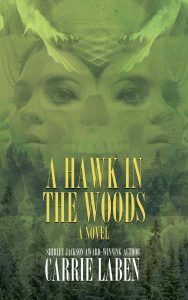 Kind of like the Brothers Grimm of Viking stories. We also get in-depth looks at medieval Iceland, its society and laws, the heart and hardiness of the entire culture. 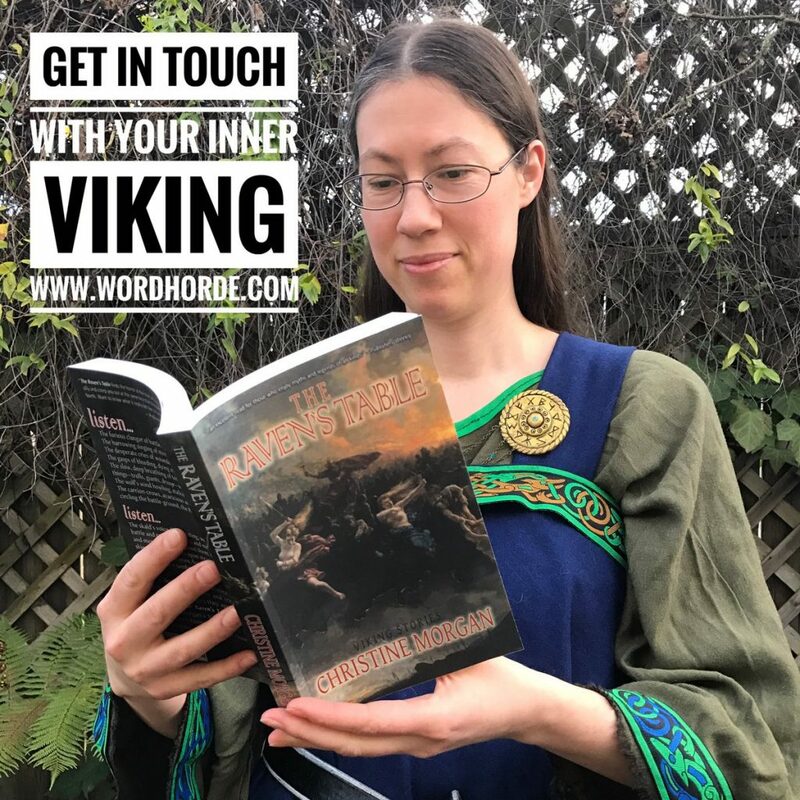 The Far Traveler: Voyages of a Viking Woman shows the feminine perspective and how those early ladies were just as tough in their way, if not tougher, than the menfolk. Gudrid not only left home to cross an unknown sea to homestead in a new world, she did so while having a baby along the way. Ivory Vikings: The Mystery of the Most Famous Chessmen in the World and the Woman Who Made Them … I realized I’d had on my gift/wish list but hadn’t gotten, so just ordered it as a birthday present for myself. Those little carved game pieces, for hneftafl or just tafl, are right up there with dragonships and hammer amulets as iconic Viking images. Looking forward to learning more about them! In addition to these excellent books, Nancy Brown does about the coolest field trip in the whole world … every year, she leads an Icelandic excursion where people ride on those shaggy little horses and see the rugged countryside the way Vikings did. Some day, despite me being a terrible miserable whinerbaby of a camper who can’t rough it worth beans, this is something I’d still love to do. Oh, here we go again, Christine gushes and fangirls over Professor Drout … but, can you blame me? He’s THE go-to guy for Old and Middle English, Anglo-Saxon, Tolkien, Chaucer, King Alfred, Beowulf, medieval history and literature, language and rhetoric, and of course Vikings! The Anglo-Saxon World — you’ll never forget the timeline again with his handy MCGVR mnemonic! And his enthusiasm *almost* makes me forgive that 2007 Beowulf film. Almost. The Norsemen: Vikings and their Culture — raiders, or traders? How about both? Their ships, their weapons and technology, mythology, adventure, society and spirit! One of the sites I keep bookmarked, and my first stop when I’m browsing for character name ideas or looking for info on Viking fashion, food, and daily life. Maybe it’s weird that my gaming shelf doubles as an ever-ready reference section, but it does, and various sourcebooks for GURPS from Steve Jackson Games make up the most of it. I started gaming when I was fourteen, and what I find most useful about books like this is, well, most of the same kind of stuff you’re looking for in story writing is the kind of stuff you need to run a decent campaign. You need details on everyday life, on money and food and clothing and weapons. You need history and religion, beliefs about magic. You need stuff on medicine and treatment of injuries. You need maps, timelines, names. Conveniently organized, laid out with tables and sidebars and interesting factoids is also a plus. And hey, game books do that. I’ve found the GURPS crew to be overall very good at presenting useful information and overviews, giving a good sense of the era or location. 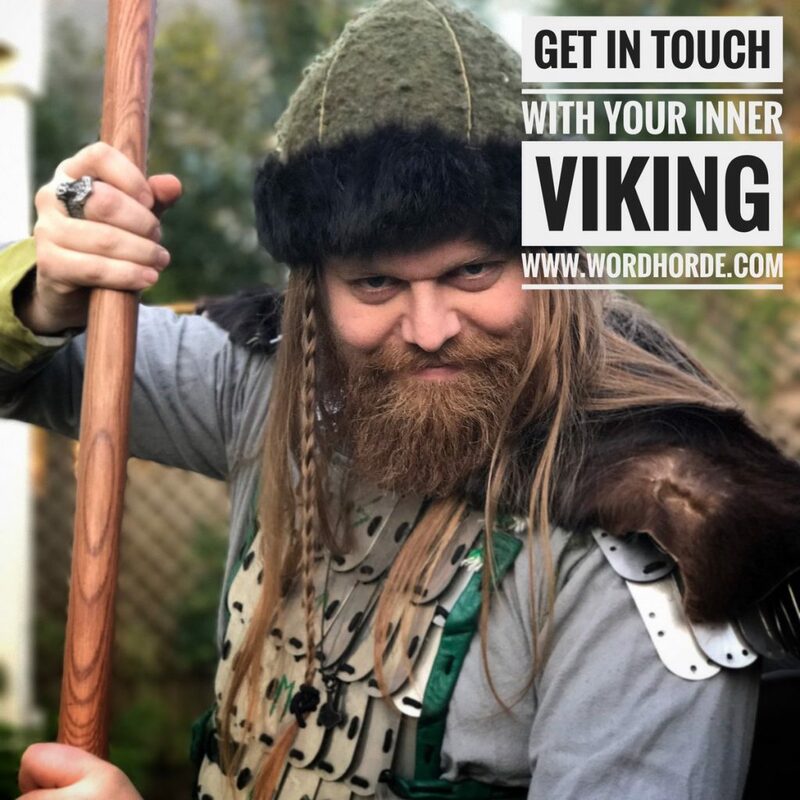 Get in touch with your inner Viking. 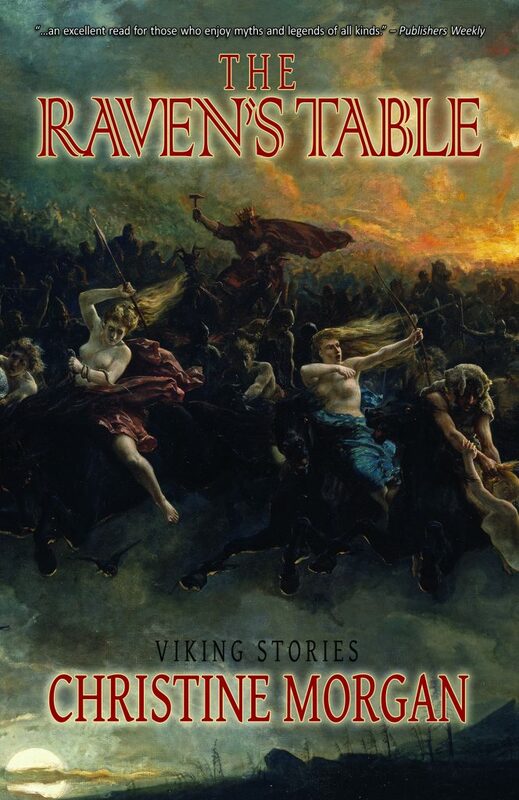 Order Christine Morgan’s The Raven’s Table today!